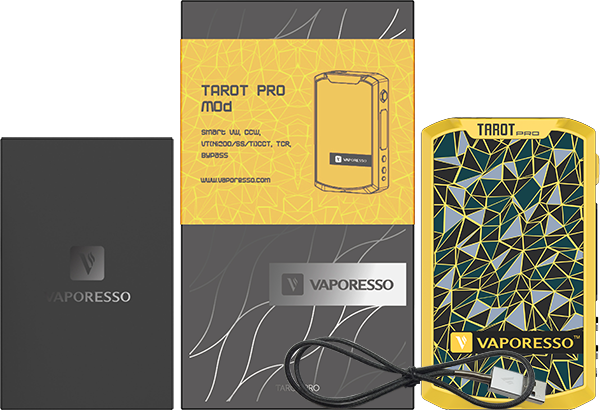 The Tarot Pro is one of our best vape mods, capable of a 160W output as well as offering automated settings for the most common TC modes (Ni, SS, Ti). This mod also caters for CT (Ni, SS, Ti) and CW functions too! 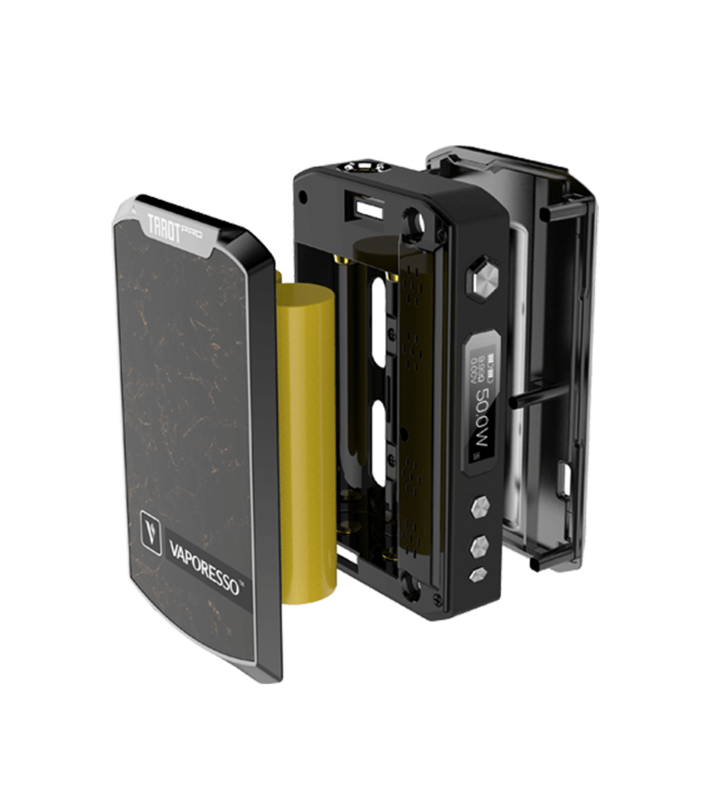 And if you feel like an untempered vape, you can choose Bypass mode to practically turn your device into a mech-mod. 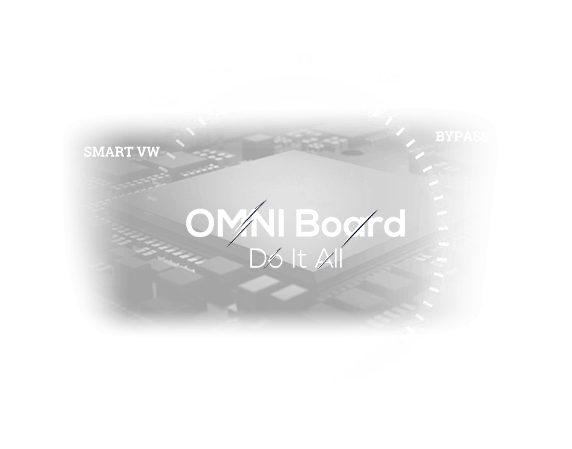 The Tarot Pro comes with an all new OMNI Board, guaranteeing a consistently reliable performance no matter which coils you use and an accurate, updatable and fully customizable, firmware. As an advanced setting to VW, CCW stands for Customized Curve of Wattage. You could actually customize the curve of wattage, according to its respective second, up and down in a pattern with this setting. You will be able to select the output for every 1/2 second of the first 5 seconds to minimize ramp up time and maximize pleasure. It is like riding a roller coaster, an excitingly varied series of hits from a vape setting tailored by you that you can have as many times as you wish.  As an advanced setting to VT, CCT stands for Customized Curve of Temperature. Have you been upset that the 1st few drags are not hot enough? Have you ever been burnt after vaping for a while? 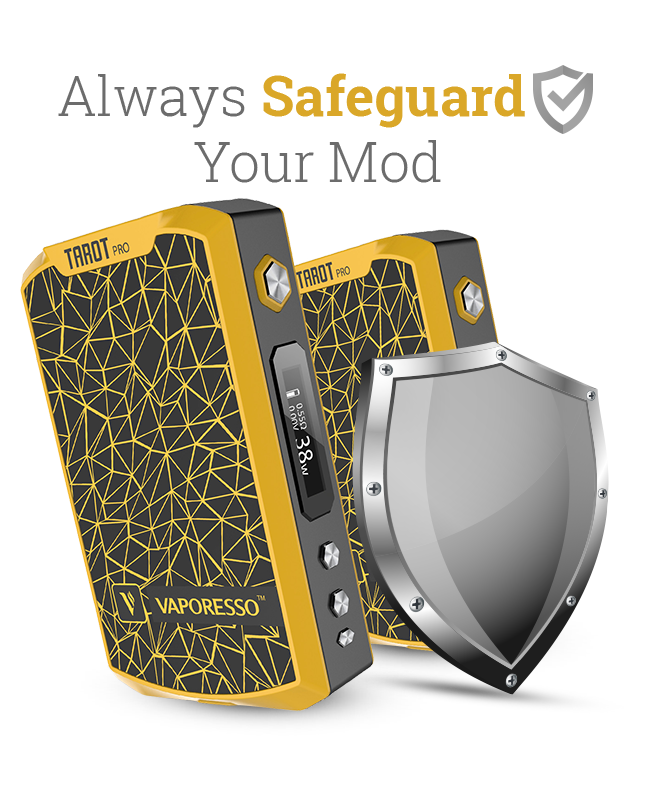 The CCT setting addresses these issues and gives you a truly free vaping experience. 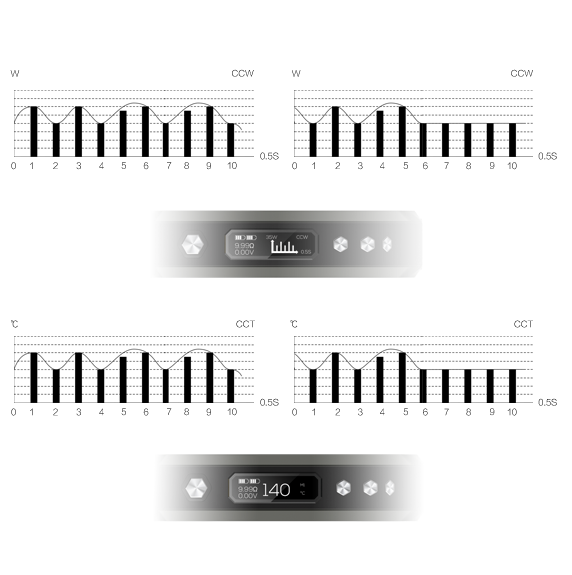 With the customized curve of temperature, you could have your 1st few drags at a higher temperature, and then automatically lower it so there's no risk of over-heating after a while. 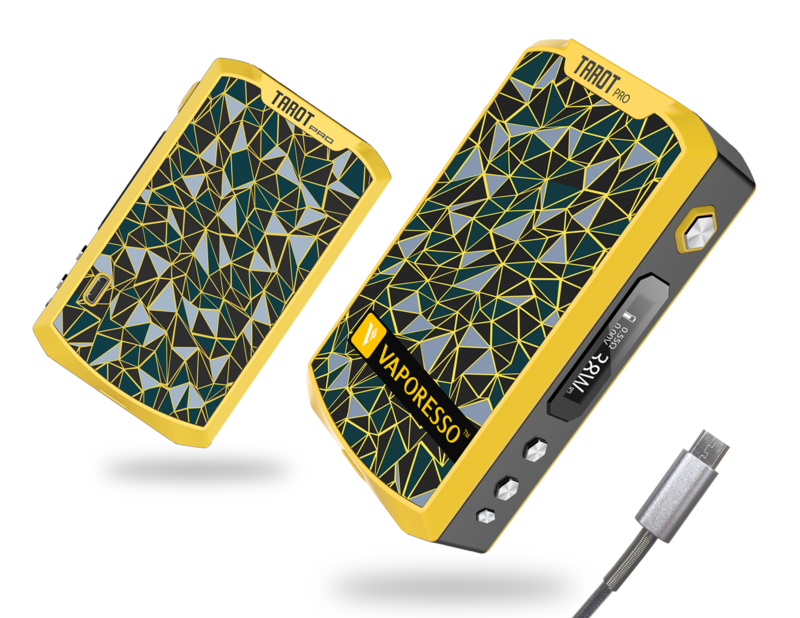 You are the true master of your mod, discovering the fun of vaping. As an advanced variable output wattage setting mode, the SMART VW will automatically recommend the ideal output power setting for each resistance value when an atomizer is installed, avoiding burning the coil to protect your device and also saving your time and money. If you still prefer to change the output power, it will again save the changed setting automatically so that when you resume after power off it will start with your preferred setting. It is indeed a smart guard of your mod, always providing you with the ideal output power for your atomizer. Enjoy the SMART VW now. 1. The TCR Value in the sheets is 10x the actual TCR.